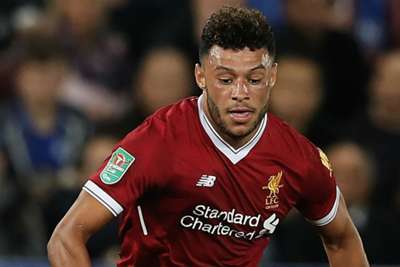 Alex Oxlade-Chamberlain was forced off through injury in the first half of Liverpool's Champions League semi-final first leg against Roma at Anfield. The England international was hurt 15 minutes into the game after making a sliding tackle on former Manchester City defender Aleksandar Kolarov. Oxlade-Chamberlain appeared to hold his knee initially and, after receiving treatment on the touchline, was carried away on a stretcher. Georginio Wijnaldum - who missed out on a place in the starting XI, with manager Jurgen Klopp opting for James Milner instead - replaced his stricken team-mate in the 18th minute. The injury is not just a setback for Liverpool, who travel to Italy next week for the second leg of the tie against Roma at the Stadio Olimpico, but also potentially England. National team manager Gareth Southgate will be concerned over Oxlade-Chamberlain's condition ahead of the World Cup in Russia.